This black cast iron door knocker from Renovator's Supply features an impressive lion's head figure to welcome visitors to your home. 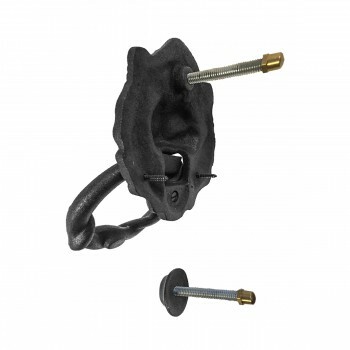 - Matte RSF powder coat finish protects from wear and rust. 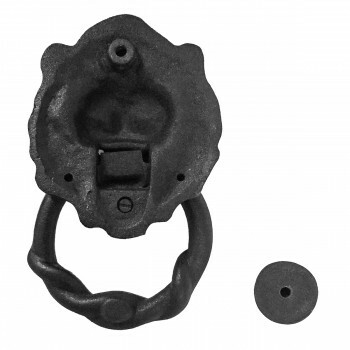 - Mounting hardware is included and may be used to mount on any door up to 2-1/4" thick. - STRIKE: 1-3/4” Dia x 1/2” Proj. 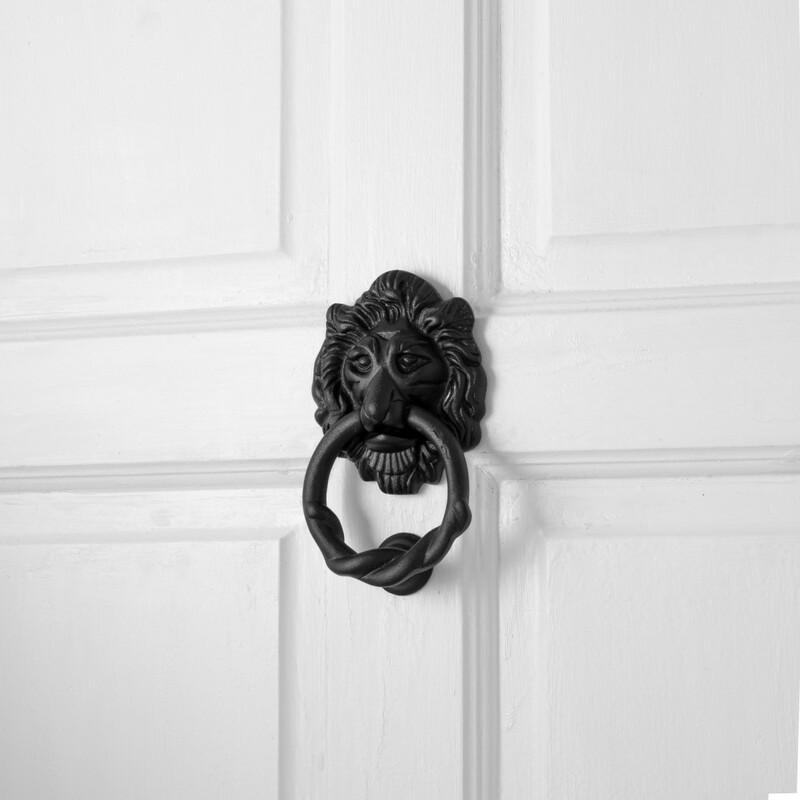 Looks perfect on my garden door! I highly recommend. 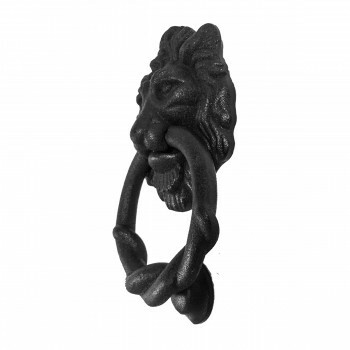 The lion door knocker is the perfect finishing touch to any door. 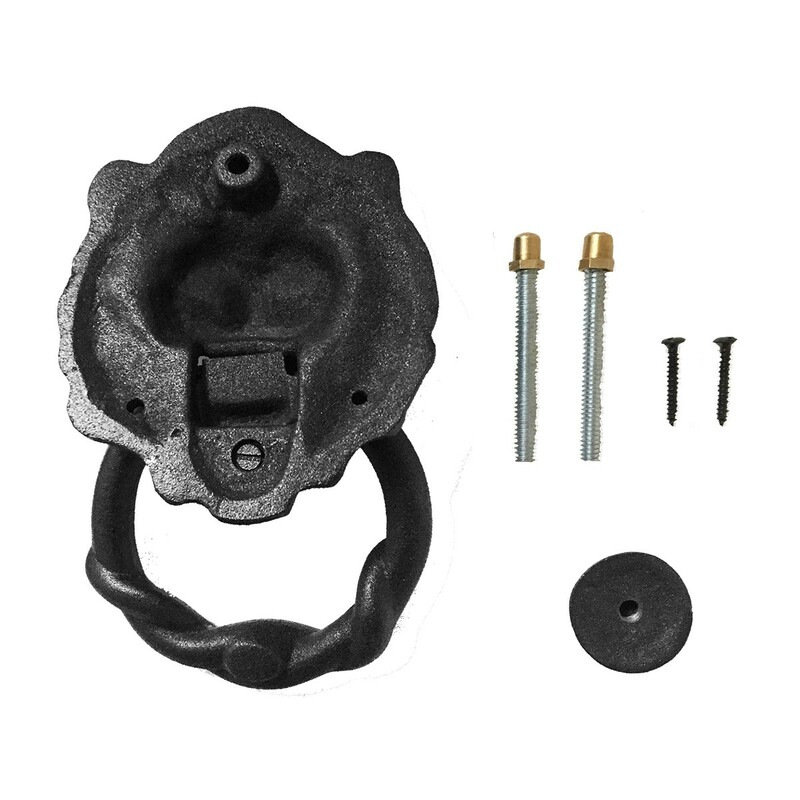 I did not drill through the door to attach it as per the instructions but rather attached it from the front only using a smaller screw as the center anchor point. 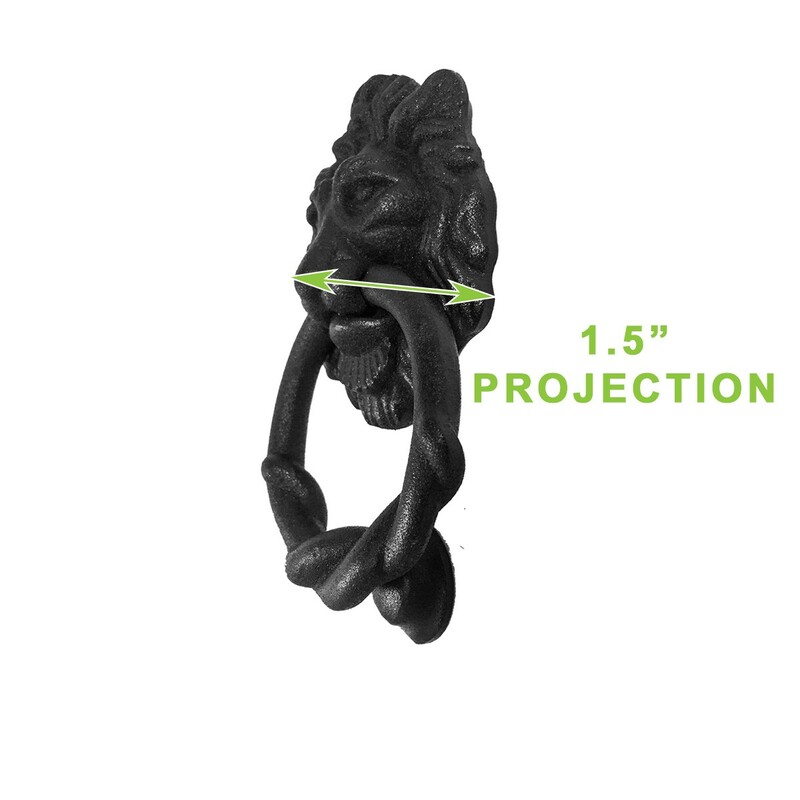 It is extremely solid in its construction and we have received many compliments. Heavy-duty & very nice looking! Love it! Adds distinctiveness to the entry. exactly as described. 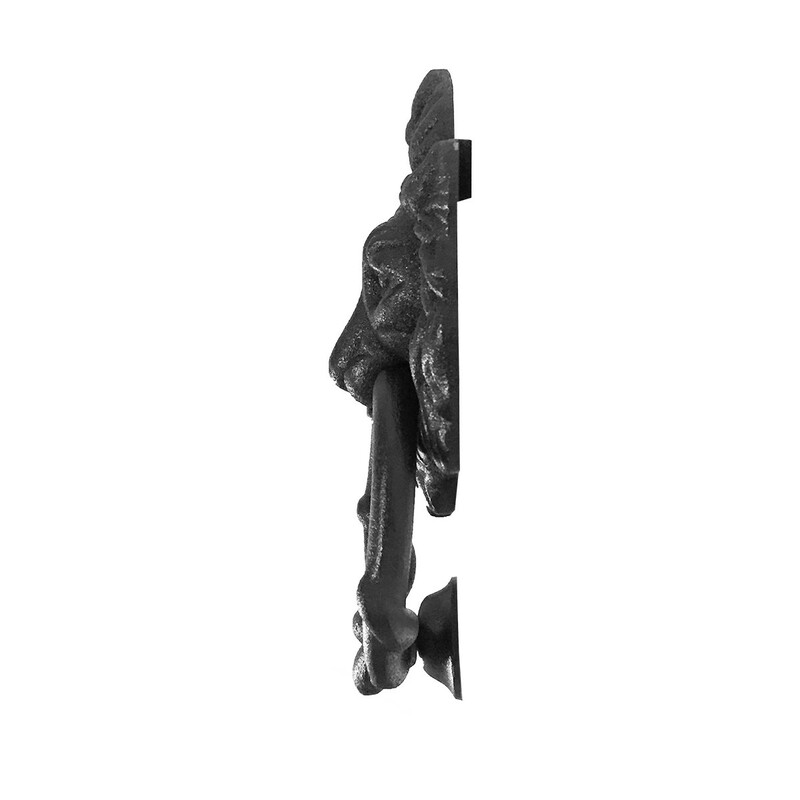 Heavy duty door knocker. quick delivery. Little design defect. But it looks cool. Doesn't come in contact with the knocker on the bottom. But, Its more for show anyway. Nice heavy weight item. Only gave 4 stars because unless you want drill a hole completely through your door to attach the bottom striker plate , you have to modify it. I ended up drilling through the bottom piece and screwing it to the door. you can't see the screw when the ring is resting on it. 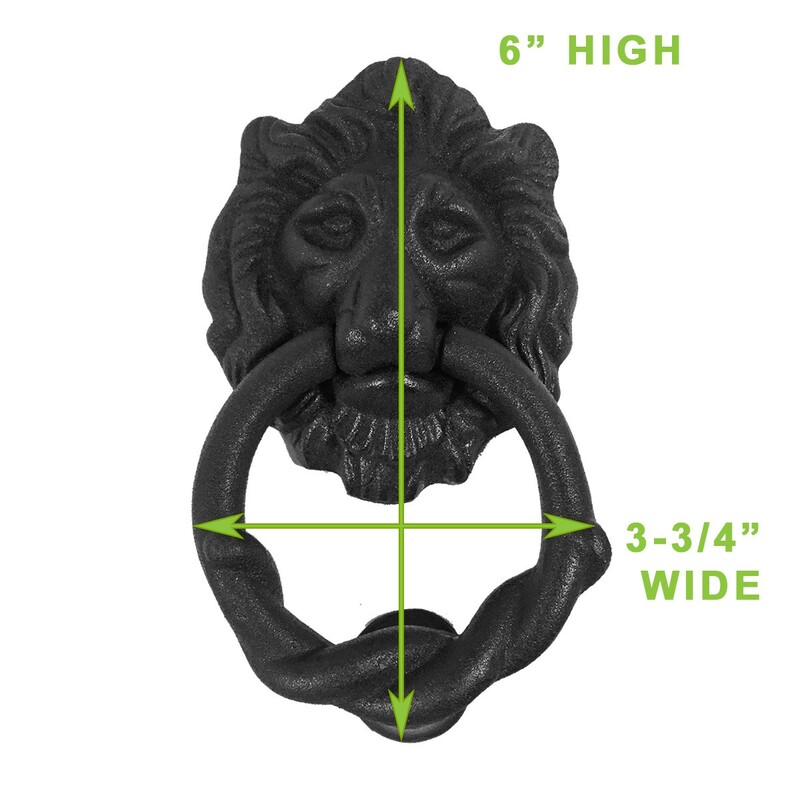 Also the top piece (lion's head) is designed for a complete through the door mounting as well but can be just screwed to door without drilling all the way trough it. Once you get it mounted it's a pretty cool door knocker.